Most of us associate gluten with bread. But living gluten-free means a lot more than just avoiding your favorite rolls and buns. Gluten can be hidden in lots of foods, and if you have a gluten sensitivity or even worse, Celiac Disease, you need to stay away from gluten in all of its forms. More people are choosing to live a gluten-free lifestyle, but that's not a sentence to tasteless, boring food. There are more gluten-free products available on store shelves than ever before. In fact, it's predicted that sales of gluten-free products will exceed $15 billion this year, twice the amount of five years earlier. The Chopping Block has been teaching people how to cook gluten-free versions of their favorite foods for years. With the help of our resident gluten-free Chef Melissa Novak, we've compiled our knowledge into a handy reference guide meant for anyone who wants to reduce their gluten consumption. How to make 6 gluten-free versions of your favorite dishes. Whether you are removing gluten from your life completely or just wanting to reduce the amount you eat, this guide will give you a solid foundation to living gluten-free. 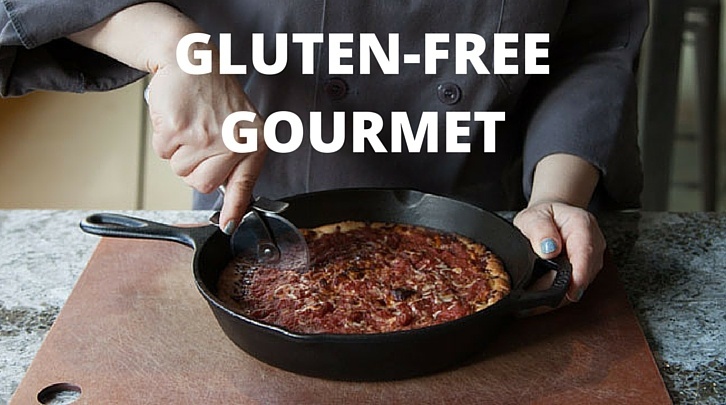 Just fill out the form to download our Gluten-Free Gourmet.